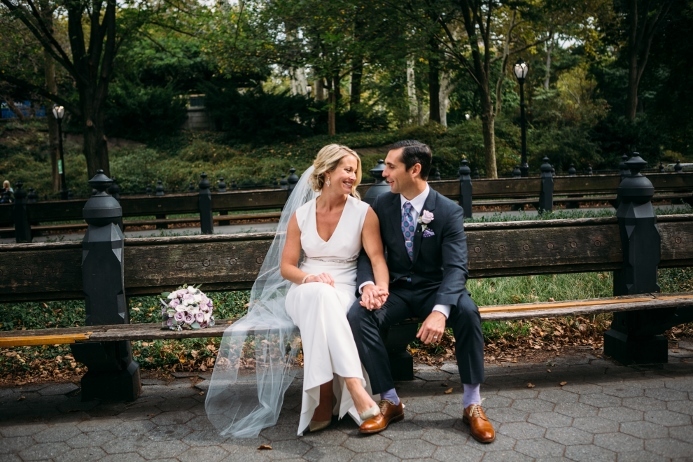 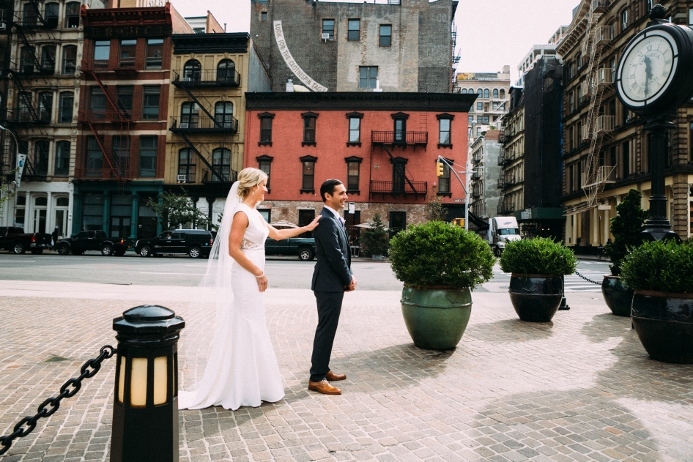 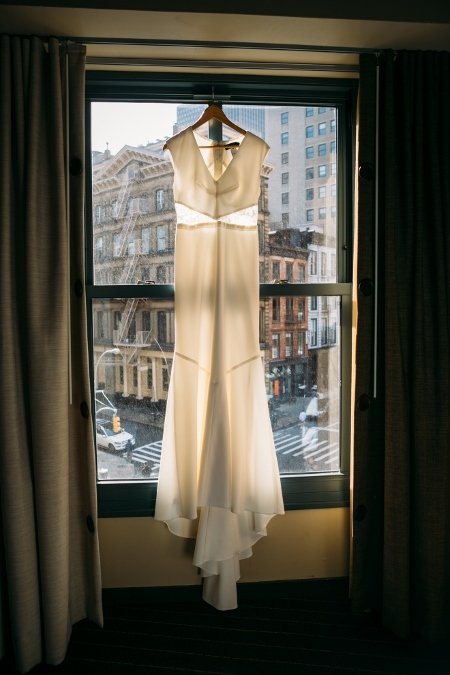 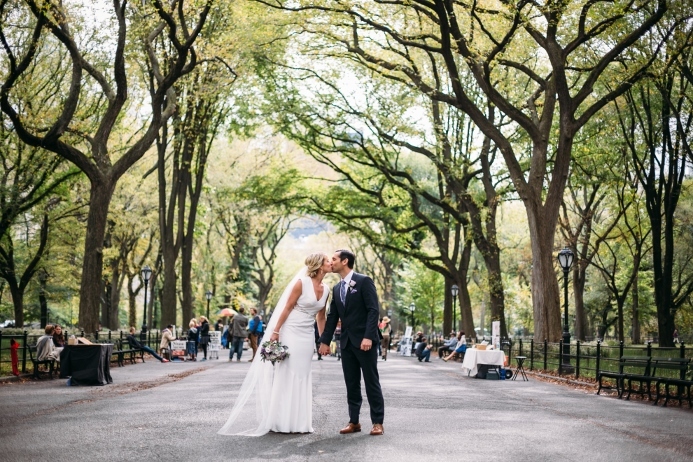 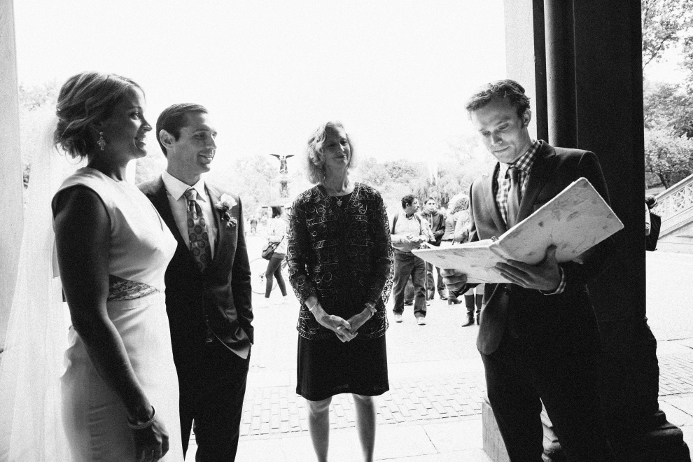 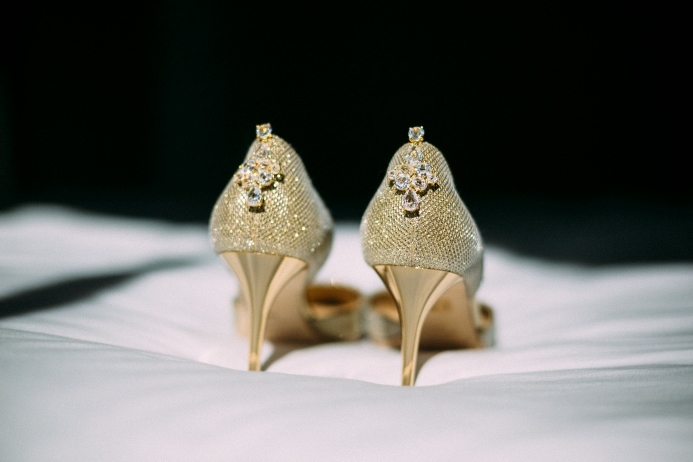 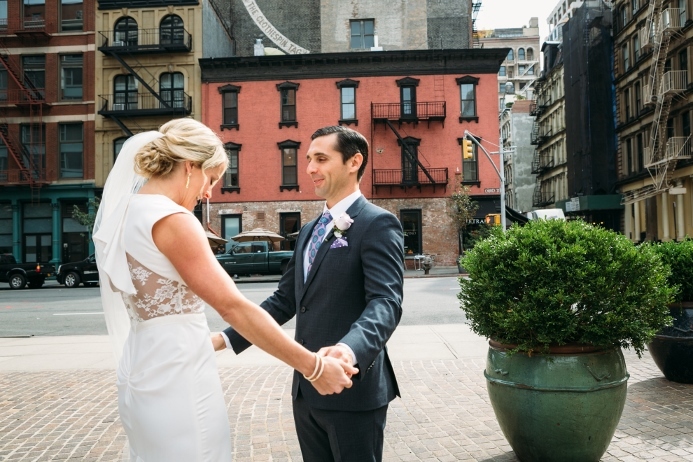 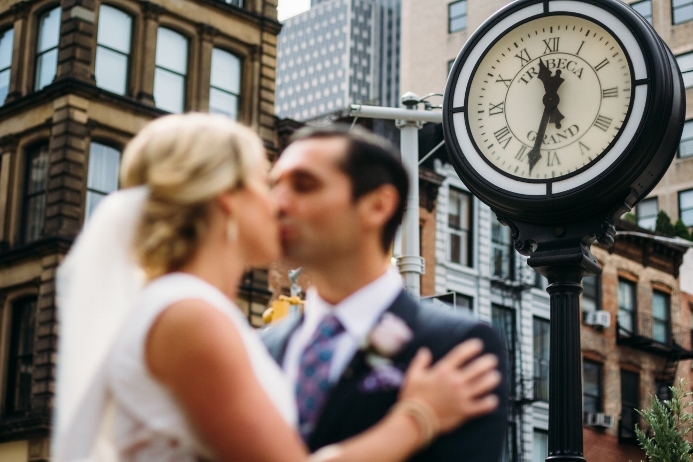 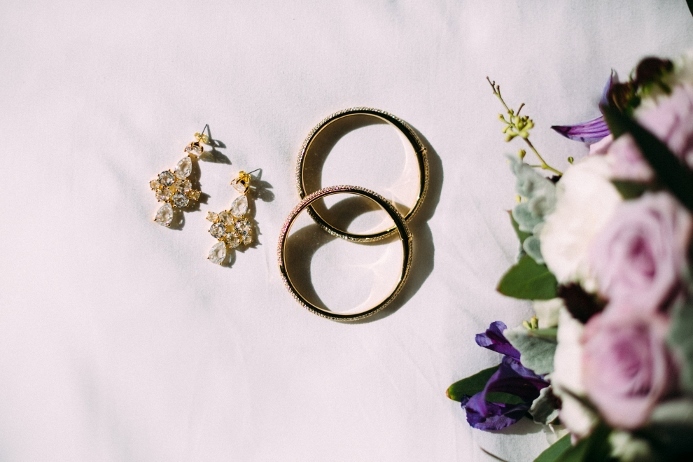 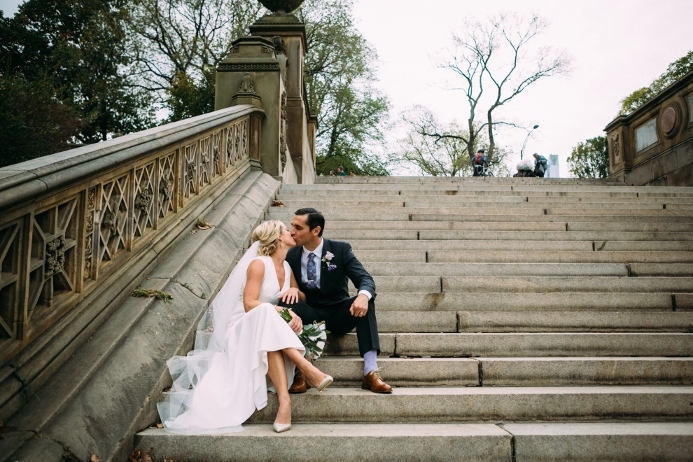 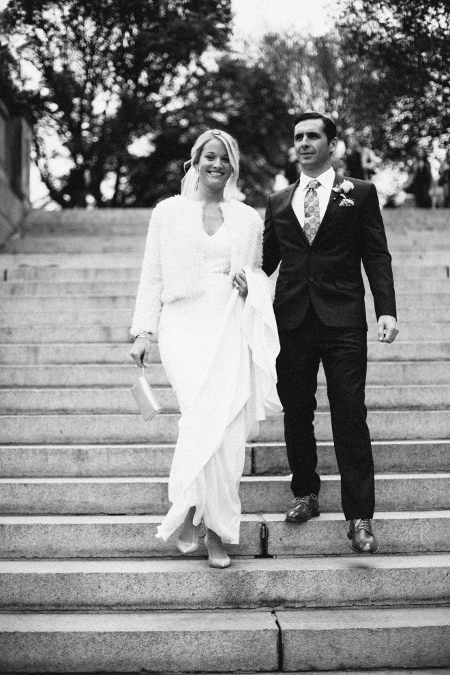 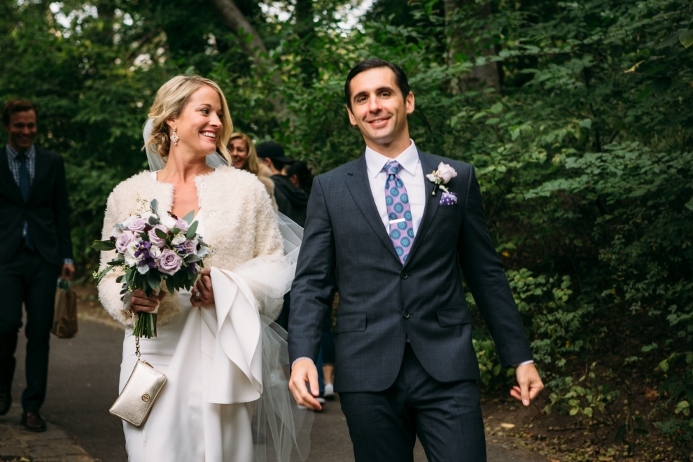 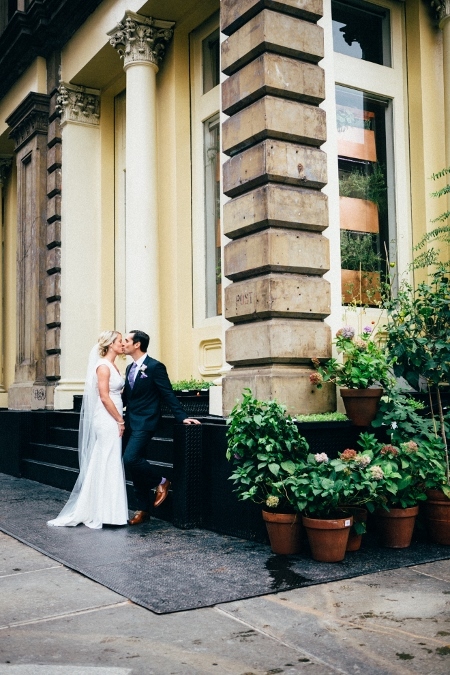 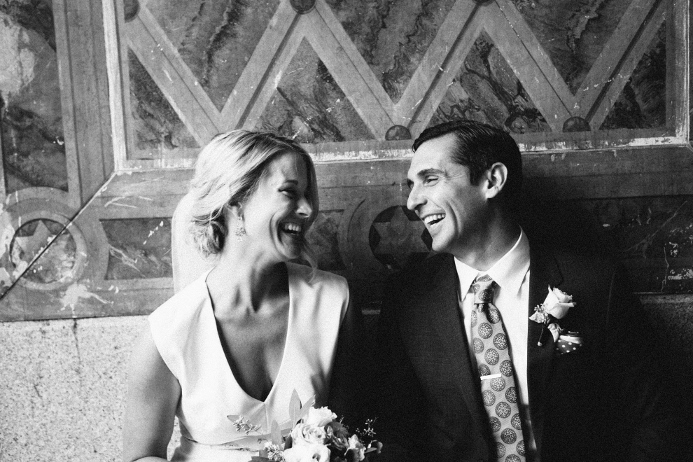 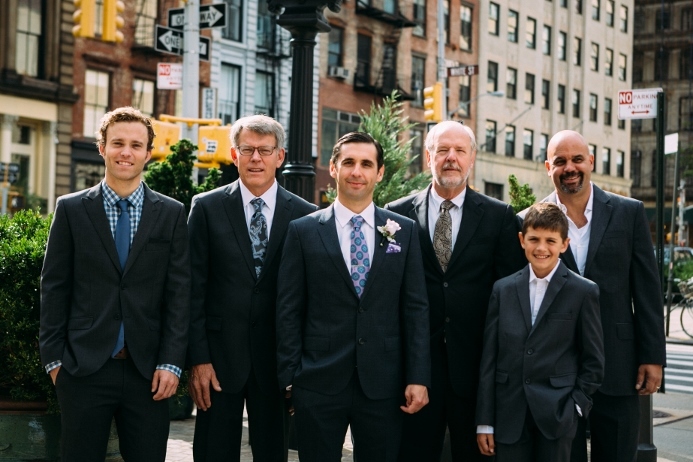 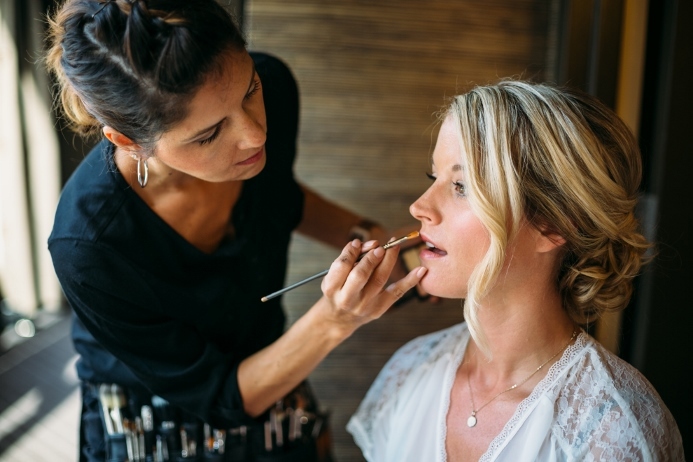 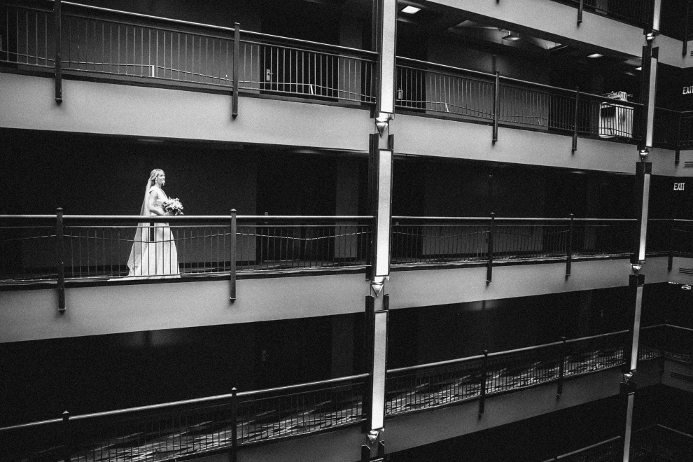 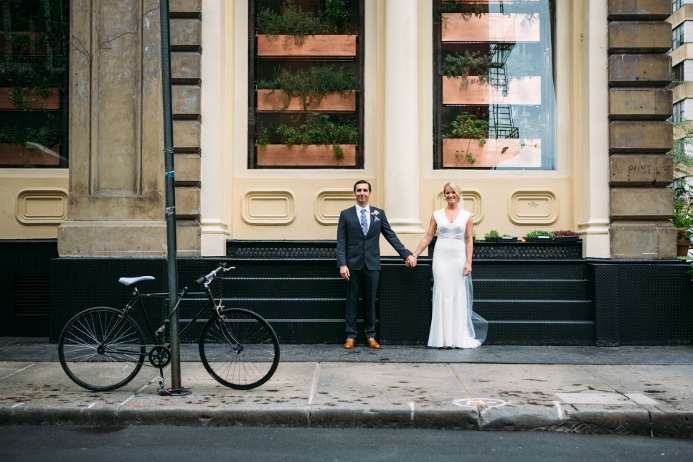 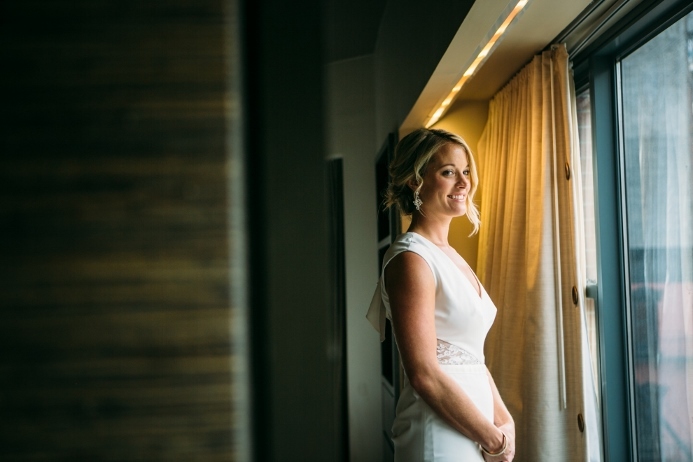 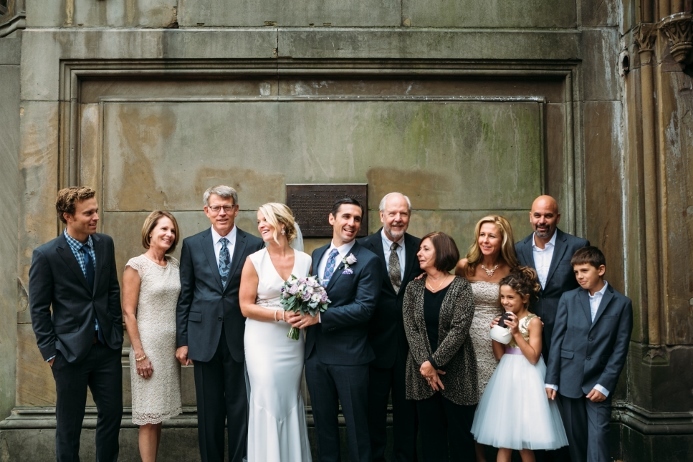 Erin and Josh traveled from Seattle, Washington for their October wedding in Central Park. 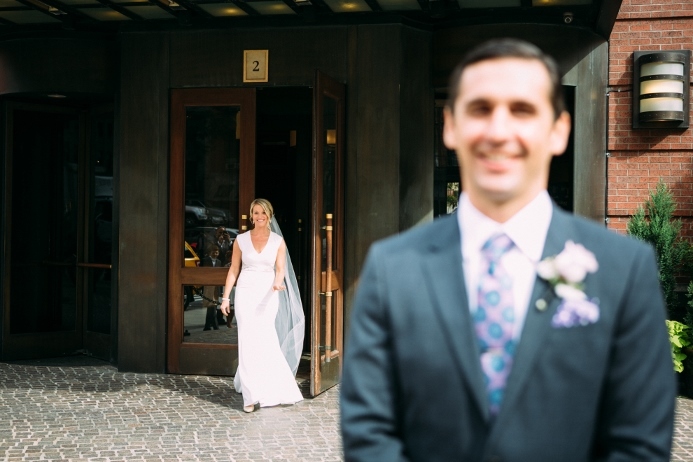 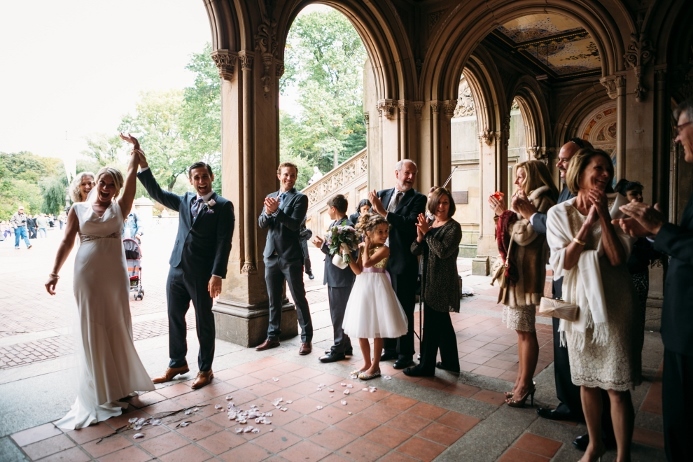 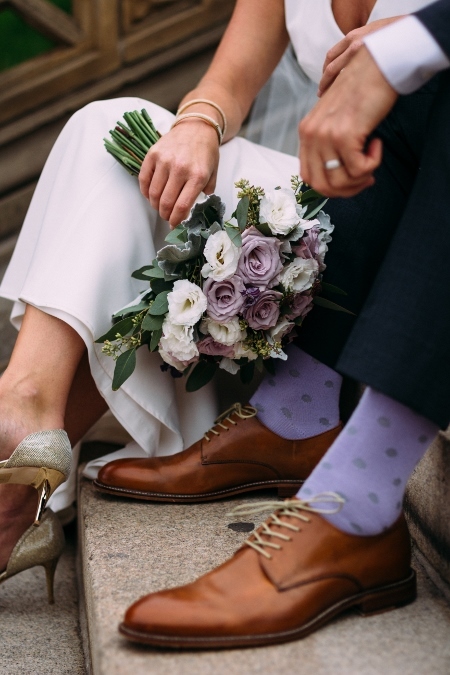 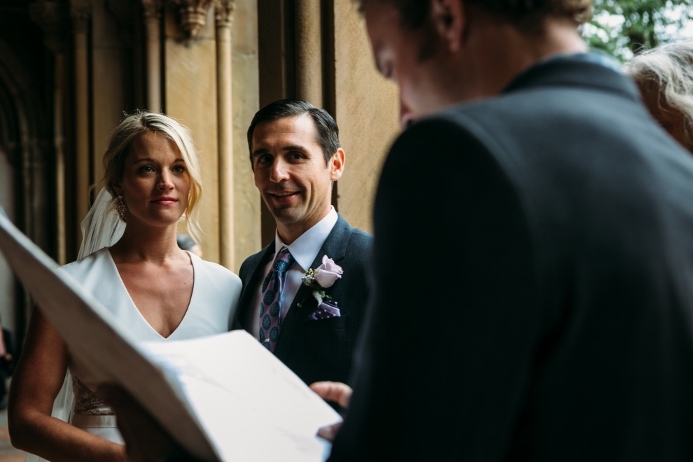 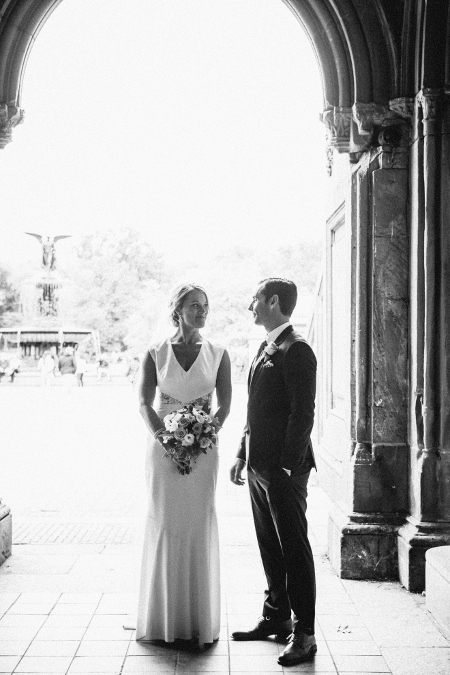 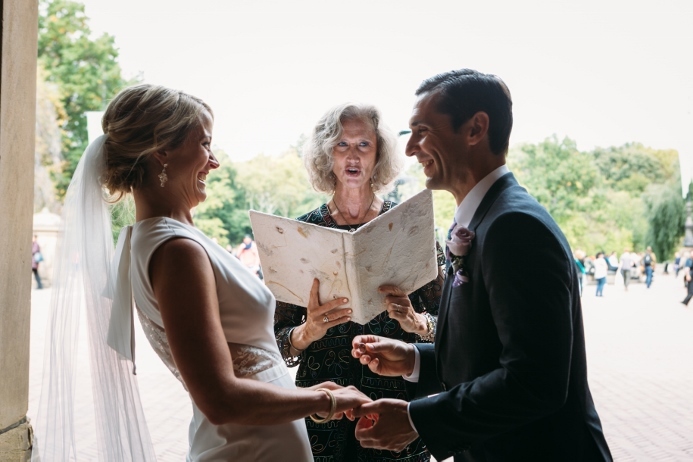 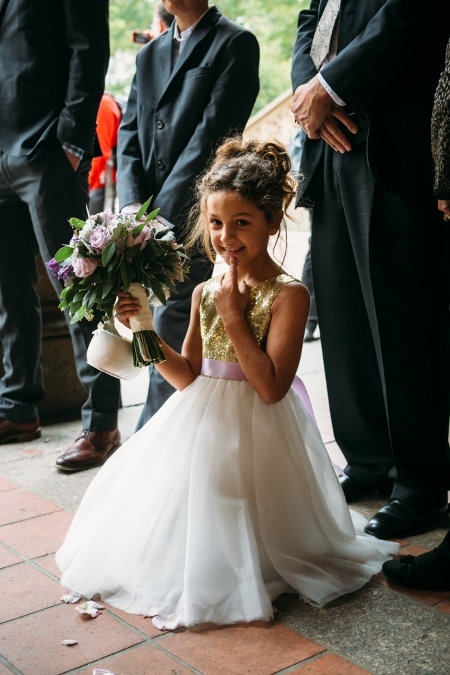 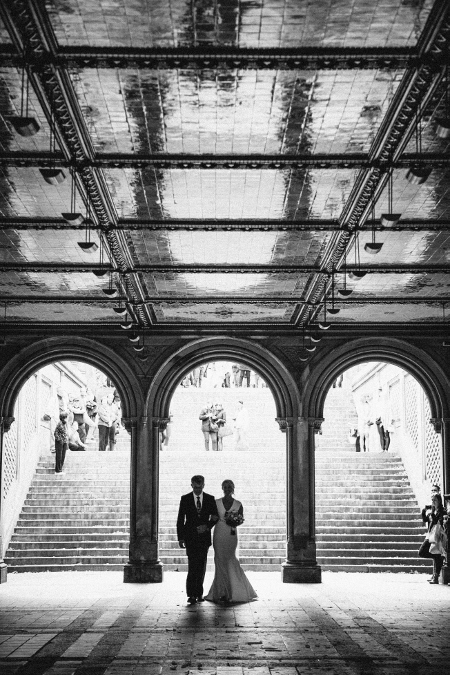 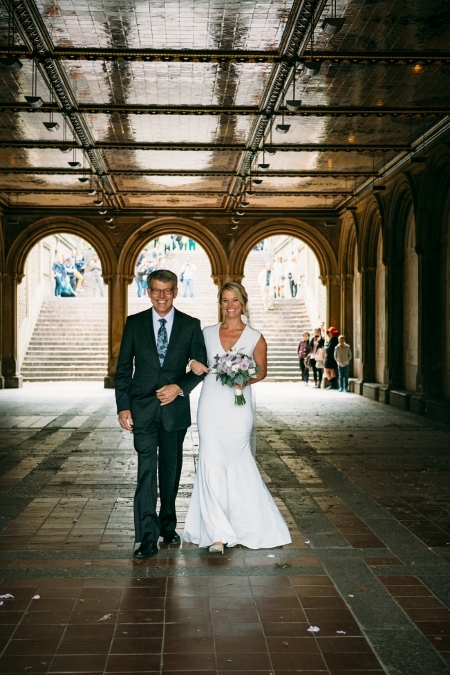 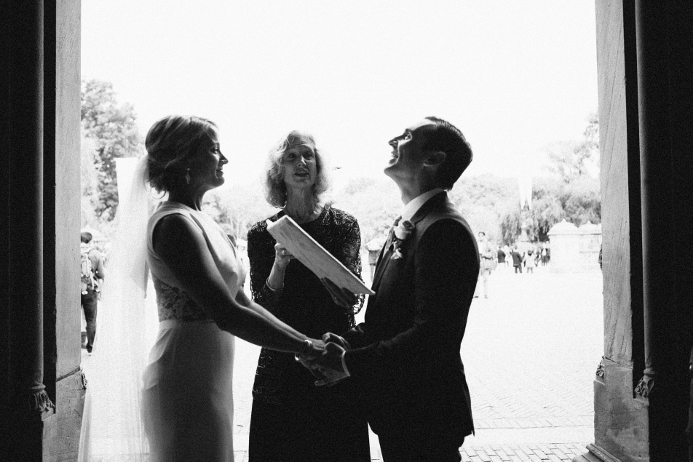 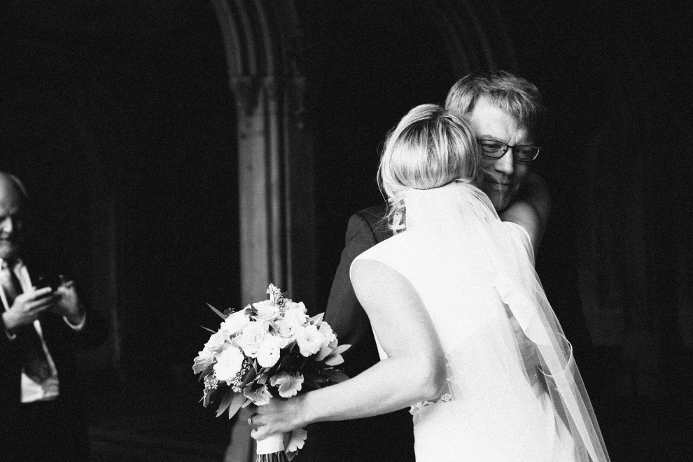 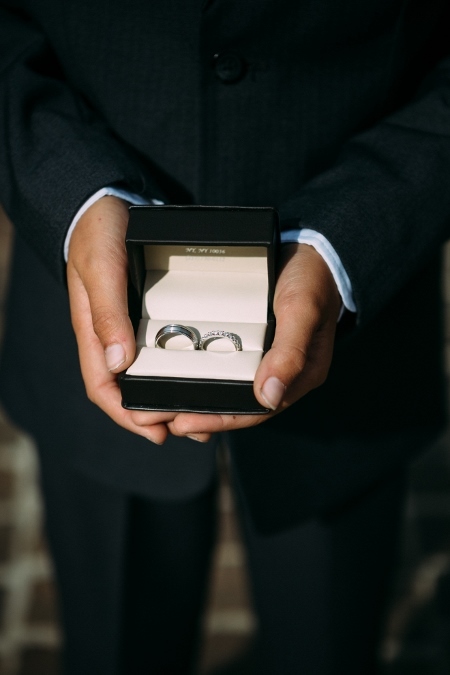 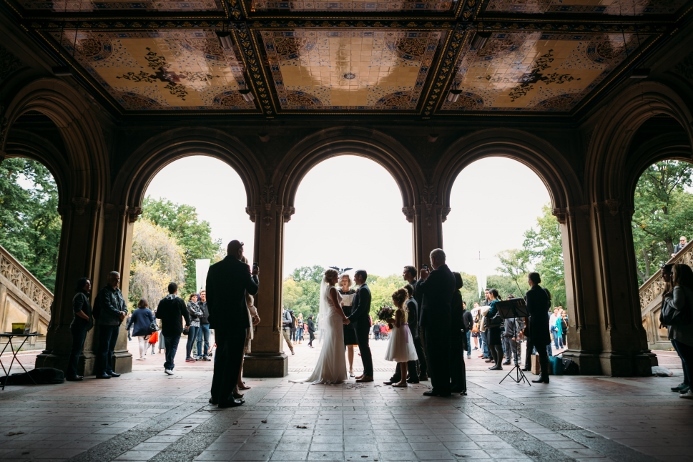 They chose to get married under the stone arches of the ornately tiled Arcade with Bethesda Fountain as a backdrop. 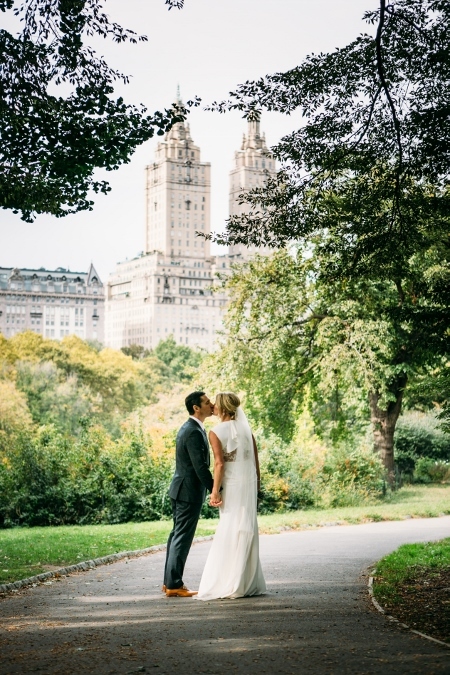 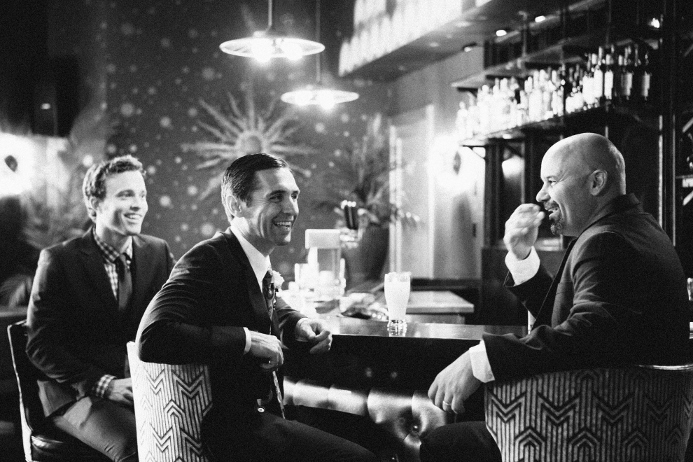 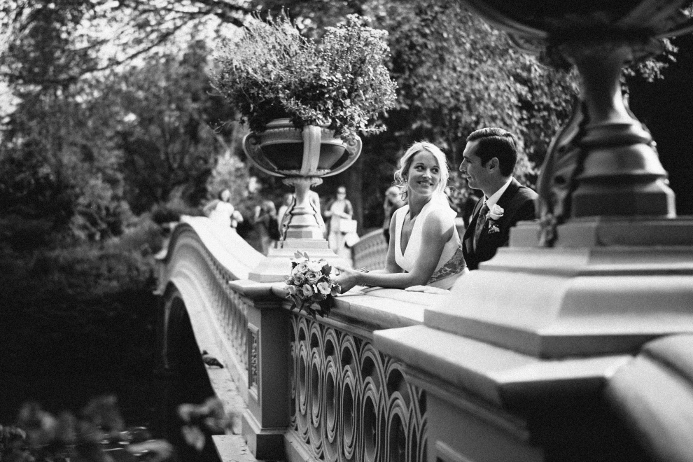 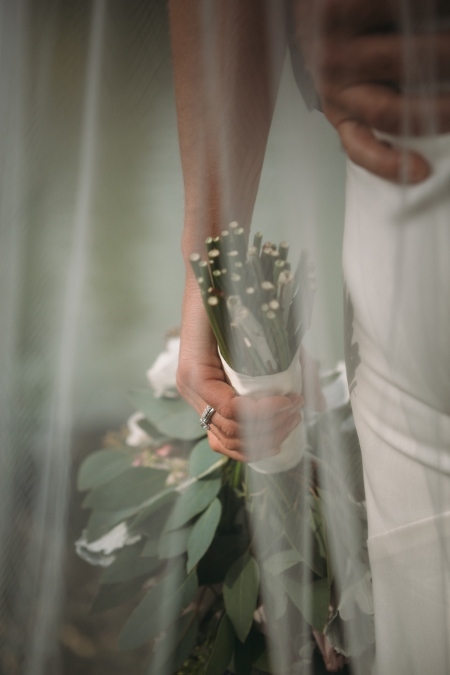 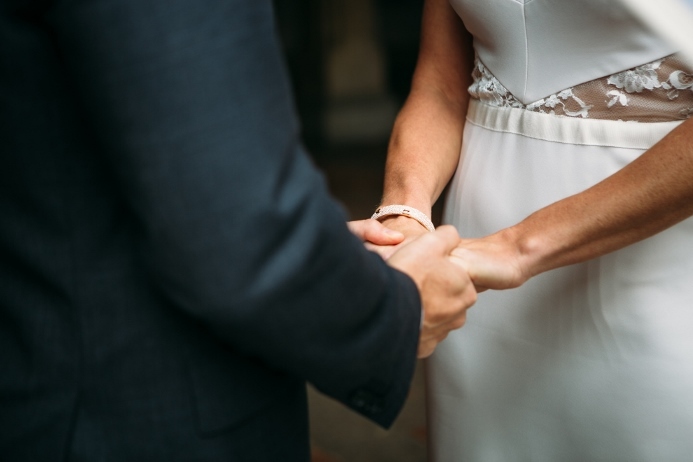 Central Park was an obvious choice for their wedding ceremony – Erin noted that the park has special meaning to them and that “Central Park in the fall is one of the most beautiful places in the world.” Their wedding day began with photos at the Tribeca Grand Hotel and was followed by an intimate ceremony with close family. 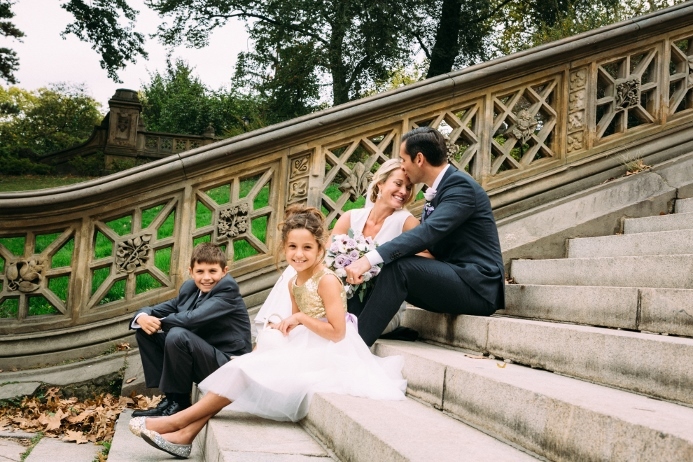 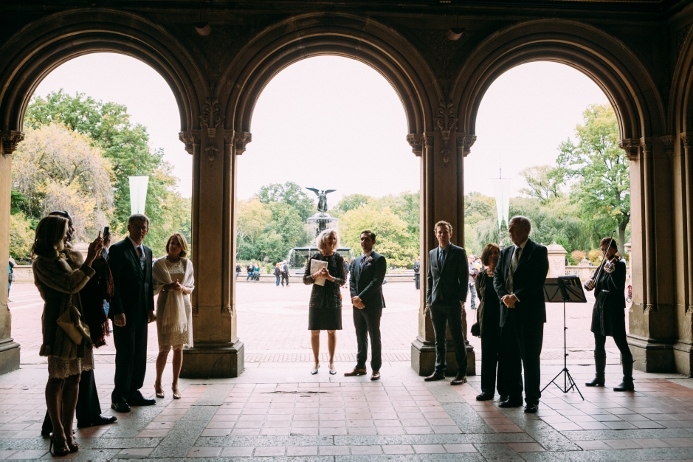 After exchanging vows, the newlyweds posed for family photographs around Bethesda Fountain Terrace. 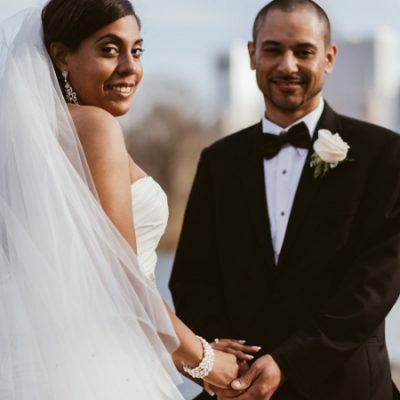 The bride and groom then strolled around the park for portraits as the rest of the party made their way to The Loeb Boathouse to get the celebration started. 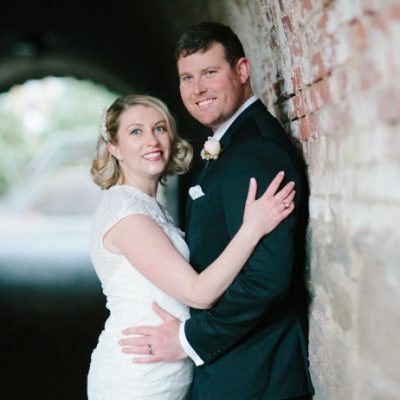 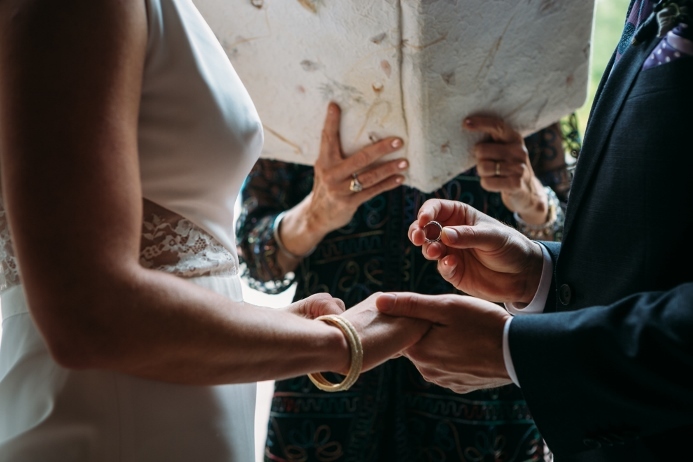 Congratulations, Erin and Josh!